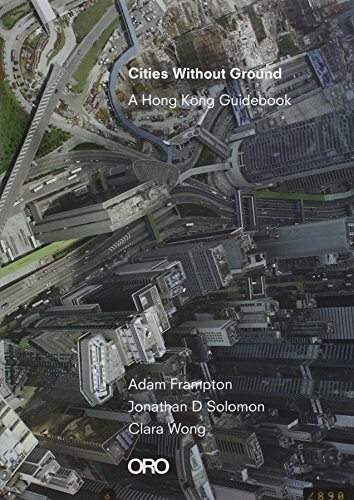 Hong Kong is a city without ground. This is true both physically (built on steep slopes, the city has no ground plane) and culturally (there is no concept of ground). Density obliterates figure-ground in the city, and in turn re-defines public-private spatial relationships. Perception of distance and time is distorted through compact networks of pedestrian infrastructure, public transport and natural topography in the urban landscape.Without a ground, there can be no figure either. In fact, Hong Kong lacks any of the traditional figure-ground relationships that shape urban space: axis, edge, center, even fabric. Cities Without Ground explores this condition by mapping three-dimensional circulation networks that join shopping malls, train stations and public transport interchanges, public parks and private lobbies as a series of spatial models and drawings. These networks, though built piecemeal, owned by different public and private stakeholders, and adjacent to different programs and uses, form a continuous space of variegated environments that serves as a fundamental public resource for the city. The emergence of the shopping malls as spaces of civil society rather than of global capital-- as grounds of resistance-- comes as a surprise. This continuous network and the microclimates of temperature, humidity, noise and smell which differentiate it constitute an entirely new form of urban spatial hierarchy. The relation between shopping malls and air temperature, for instance, suggests architectural implications in circulation--differentiating spaces where pedestrians eagerly flow or make efforts to avoid, where people stop and linger or where smokers gather. Air particle concentration is both logical and counterintuitive: outdoor air is more polluted, while the air in the higher-end malls is cleaner than air adjacent to lower value retail programs. Train stations, while significantly cooler than bus terminals, have only moderately cleaner air. Boundaries determined by sound or smell (a street of flower vendors or bird keepers, or an artificially perfumed mall) can ultimately provide more substantive spatial boundaries than a ground. While space in the city may be continuous, plumes of temperature differential or air particle intensity demonstrate that environments are far from equal. Hong Kong is a city without ground. Physically, the city is built on steep slopes with no ground plane, and, culturally, there is no concept of ground. Density obliterates and redefines public/private spatial relationships. The perception of distance and time is distorted through compact networks of pedestrian infrastructure, public transportation, and natural topography in the urban landscape. Cities Without Ground explores this condition by mapping three-dimensional circulation networks that join shopping malls, train stations, public transport interchanges, public parks, and private lobbies as a series of spatial models and drawings.